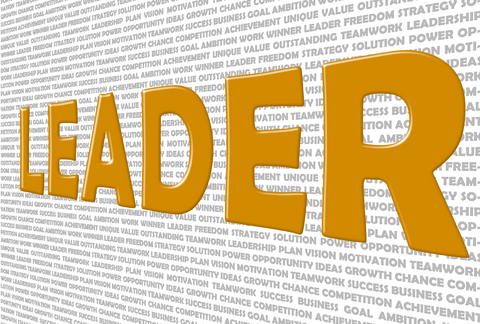 The Top Leadership Qualities Every Manager Needs by Rob Wormley | Go, Leader, Grow! Good leadership can be difficult to spot– sometimes leaders are quiet, leading by example. Other times, they’re front and center, clearly leading a team to success. But great leaders all have some things in common. Their teams look to them for direction, and they’re able to navigate through tough challenges. Leadership is difficult to quantify, but there are some traits you should seek to emulate if you’re leading a team. And, if you’re hiring, you should look for these traits in your employees, whether they’ll be leading a team now, or have the potential to do one day. What are good leadership qualities that will help you move through your organization with super speed? In this post, we profile seven leadership qualities that you absolutely need to cultivate. Flexible leaders, those who are able to change their opinions, alter course as needed, and adjust based on new information, are better leaders than those who are rigid with their beliefs and actions. In order to be more flexible, you need to stop and examine why you think the way you do. Do you operate as normal because “that’s just what the company does”? Are you willing to change course if new information is brought to the table? If you’re not, slow down. At the start of each week, step back and examine if you’re on the right course, and if you’re on it for the right reasons. When faced with opposition, stop and think about why you’re standing so fiercely behind your beliefs. Do you have good reasons for being rigid? Is there a way you can compromise. Seek outside opinions. Don’t try to make decisions on your own. When faced with a difficult situation, seek advice from friends, colleagues, and consultants. Leaders aren’t functional if they can’t get things done. With a large team, disagreements will arise. The best leaders can work through these disagreements by making clear decisions, ensuring that things move forward no matter what. It’s great if your team likes you, but if you can’t lead them to success and unite them around a common goal, you’re not leading. Great leaders have the ability to be decisive, to take action even in the face of opposition, and even when their decisions are unpopular with the group. Give yourself deadlines. Don’t dilly-dally over decisions for weeks at a time. Make a deadline– “I need to decide on this issue by Tuesday” and stick to it. Forget about being loved. Not everyone is going to agree with your decisions. You have to accept that being respected by your team is more important than being loved. Are you open with your employees about your motives? Do they have a good handle on why the organization functions in the way it does? If the answer is no, you need to think about prioritizing transparency. Believe it or not, most employees aren’t privy to the big picture, making it difficult for them to contribute in a meaningful way. Only 41% of the employees in the U.S. understand their company’s mission and what differentiates it from competitors, according to Gallup’s 2013 State of the Global Workplaces. Transparency can help you fix this problem. Transparency is getting real with your team. Transparency matters because it helps employees gain context so they can understand why things are being done in certain ways. If you’re not being transparent already, you can start small. Start by gathering your team once a month to explain quarterly or monthly goals. Allow them to ask questions, and tell the truth when you answer. Remember you don’t have to share every little thing you’re doing, but you should share the general scope of what you’re up to– this will help employees contextualize their work. As a leader, it’s essential that you’re able to step back and see the big picture. This quality makes the difference between good leaders and great ones. Leaders must be aware of where the company is positioned, as well as where they sit within the company. In short, leaders must be aware that they’re leaders to be truly effective. They need to step back and see the big picture. Hold quarterly and yearly meetings with other company leaders to reassess where the company is, and work on the big picture together. Whenever you start a new project, think about where it fits in with what the company does. Are you willing to stand up for your employees and what they believe in? Are you willing to bring up tough stuff, even if it ruffles a few feathers? Employees respect managers and leaders who are willing to go to bat for them, and they will respond to your advocacy by rising to challenges. If employers feel as though they are protected by their leader, they’ll take risks that can bring substantial rewards. Hold regular meetings with your employees and ask them about what’s going wrong, and what they think could be done to make things better. Be open and transparent with your supervisor. Be ready and willing to communicate what’s going wrong, and recommend solutions for how things can be rectified. Put team happiness before your own happiness. Be willing to have uncomfortable conversations for the good of the team.